Kanabo Research’s leadership team is made up of experienced medical industry professionals in a variety of fields shaping the medical Cannabis industry, including biopharmaceuticals, pharmaceutical R&D, Drug Delivery Systems (DDS), clinical research, medical patents, vaporizer technology, botanical extracts, and more. Featured members of Kanabo’s leadership team are included below. 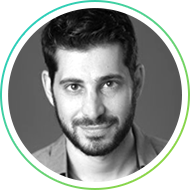 Cannabis entrepreneur with five years hands-on experience in multiple Israeli medical cannabis ventures. 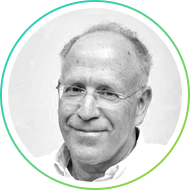 Former senior strategy consultant at Accenture; founder of Teva Nature, the leading vaporizer company in Israel. David is an execution veteran with extensive marketing, branding and business development experience. 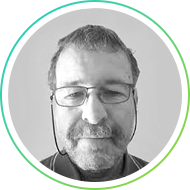 With a stellar track record, David has been helping startups turn to enterprises for over 20 years. David managed global operations and marketing in 100+ staff companies internationally, and today leads Kanabo’s operations. Over 30 Years experience in the Banking and Capital markets. Uziel, Served as CEO and Chairman of Excellence Investment House and was a VP of Mizrahi-Tefahot bank. Presently Uziel serves as a Director on Elad Israel Residence Ltd, Space-Communication Ltd, Rosario Capital Ltd and Universal Motors Israel Ltd. 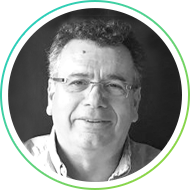 Co-founder and former Chief Executive Officer of Kamada Ltd. (NASDAQ: KMDA), a leading Israeli pharmaceutical company. He currently serves as Kamada’s Active Deputy Board Chair. Prior to founding Kamada, Mr. Tsur was CEO of Arad Systems and RAD Chemicals. He has also held various positions in the Israeli Ministry of Economy, including Chief Economist and Commercial Attaché in Argentina and Iran. Specialist in pharmaceutical R&D with over 25 years experience as biomedical entrepreneur and executive. Dr. Friedman is the inventor of Bausch and Lomb’s Lotemax eye drops, and holds over 80 patents, making him the most prolific inventor in Israel. He served as Director of Pharmaceutical Development at Pharmos Corp, Chief Technology Officer of Foamix Ltd, and continues to consult numerous companies on pharmaceutical development. World-renowned neurosurgeon, currently Director of the Department of Neurosurgery at Sheba Medical Center in Tel-Hashomer, Israel. Dr. Knoller serves as Member of Scientific Advisory Board of Proneuron Biotechnologies, Inc. and has served as an Advisory Board Member of Mazor Surgical Robotics Ltd. Research activities include emerging medication treatments and cell therapy (macrophages) for traumatic brain and spinal injuries. Experienced executive manager specializing in biomedical and medical device companies. Mr. Aldar’s diverse experience includes work as CEO of Syqe Medical, creators of the first medical grade cannabis inhaler. He has also served as Co-Founder and CEO of SteadyMed Therapeutics, Inc. (NASDAQ: STDY), Managing Director of VersaMed (acquired by GE Healthcare), and Founder and CEO of Flight Medical (TASE: FLGM).